Whitehaven Coal is on track to meet its full-year production guidance of 22–23 million tonnes after achieving record quarterly output of 7.4 million tonnes in the December 2018 quarter. 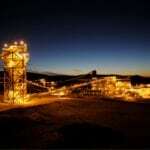 At the Maules Creek mine in New South Wales, a record quarterly production of four million tonnes was reported. Its thermal coal was also sold at a 9 per cent premium to the globalCoal Newc index (gC Newc) price, which most of Maules Creek’s longer term contracts are linked to. Meanwhile, production at the Narrabri mine in New South Wales also grew by 42 per cent to over 2.3 million tonnes on the same quarter a year earlier. It is only marginally below Narrabri’s quarterly production record. This signals a production recovery at Narrabri following its full longwall changeout during the September quarter. 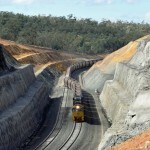 “Maules Creek and Narrabri have done a lot of the heavy lifting in the second quarter. 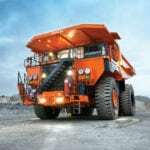 But as with previous years, we expect all our open cuts to contribute to a strong full-year result,” Whitehaven Coal managing director Paul Flynn said. According to Whitehaven, thermal coal demand in India has increased as thermal generation grew by 5 per cent year on year in 2018. Import volumes in South and Southeast China also increased significantly last year, attracting an additional 40 million tonnes to the countries following the ongoing deployment of their new coal fired power stations. However, not many producers have incremental capacity to divert production from semi soft coking coal to thermal coal in Australia, Whitehaven concluded.